Have you ever entered a space that just felt right? The Living Home creates those spaces by using time honored materials that echo the beauty of nature, improve the air quality of indoor environments and the lifespan of exterior surfaces. Our mission is to give our clients their very own sanctuaries — refuges where they and the people they care about can feel healthy, peaceful and inspired — while supporting the environment. You deserve a place to breathe easy. We can help. Visit our Services and Techniques page to learn more. In addition to the above services, The Living Home founder Ellen Prejean can help you design stunning, nature-inspired spaces down to the last detail. She approaches projects artistically and considers herself more of an artist/producer of designs rather than a traditional designer. Ellen's aesthetic is influenced by the ancient Japanese philosophy of wabi-sabi, which celebrates the simple, the humble and the natural. Knowing that beauty can be imperfect, modest and unconventional, she engages the senses with found objects, art and tactile architectural finishes - combining function and beauty of form to create a look that is elegantly simple, inviting and timeless. Comfort is a priority; the trappings of formality are avoided. The end result is a space that reflects and nurtures the individual with beauty and light. Ellen Prejean, founder of The Living Home, first realized her love of nature growing up near the Dunes of lake Michigan in Indiana. She started her life’s work as a child, when she would “make over” her siblings’ rooms. 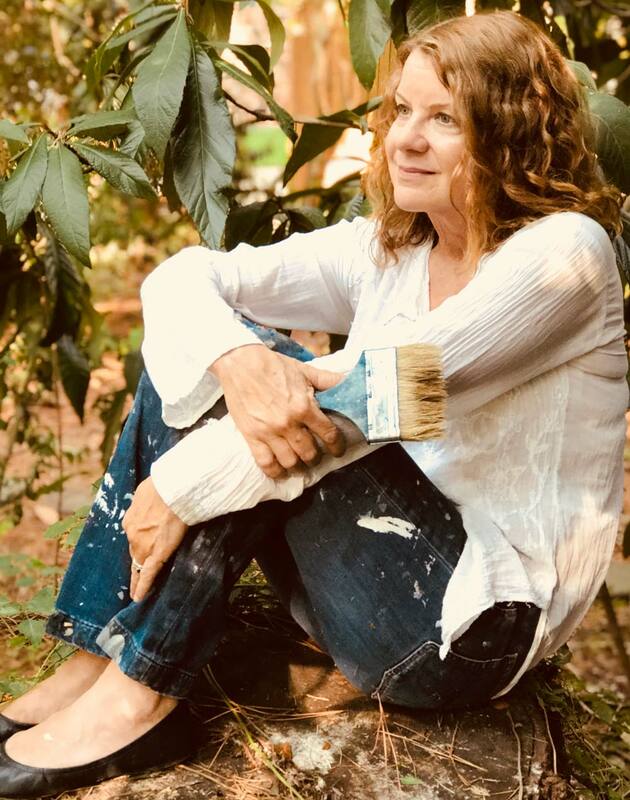 As an adult, she progressed from over two decades of creating custom faux finishes, beginning in Napa Valley, California, to currently mastering traditional techniques that artists have used for centuries. She has worked on projects in several states, but calls Houston home. She combines deep artisanal experience with an artist’s eye. Her joy is creating spaces that are a personal nest for clients to support their health and restore a measure of sanity to the art of living.